A former Argentine football official killed himself on Tuesday, the same day that he was accused of taking bribes during the second day of a Fifa corruption trial that began in New York this week. Jorge Delhon, an executive with the Argentine government’s Football For All scheme, was alleged to have accepted $500,000 per year from 2011-2014 to secure the broadcasting rights to international football games during testimony in Brooklyn on Tuesday. He was later found dead on rail tracks in the Lanus suburb of Buenos Aires after colliding with a train. Former sports marketing executive Alejandro Burzaco, who was indicted and is now a key witness for the US, has already pleaded guilty to handing out millions of dollars in bribes to a raft of senior officials in South American football. 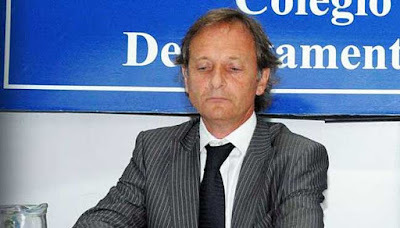 Pablo Paladino, a colleague of Delhon, was also implicated as well as the long-time president of the Argentine Football Association, Julio Grondona, and several other South American officials that held key positions.